Many organizations are adopting qualified transportation plans. Under these arrangements, employers contribute dollars toward mass transit expenses and allow employees to use pretax compensation reductions to pay for any additional qualified transportation expenses. A common conundrum of offering such a plan, however, is how to handle unused balances credited to terminated employees. Must they be immediately forfeited? Are employer and pretax compensation reductions subject to the same rules? Let’s take a look. No former employees. This prohibits qualified transportation plans from reimbursing qualified transportation expenses incurred and paid after termination of employment. No refunds. It prohibits refunds of unused balances under a qualified transportation plan. These rules apply equally to employer contributions and pretax compensation reductions. But terminated employees who don’t have enough pretermination expenses to exhaust their balances, or who fail to timely submit those expenses, can’t use the remainder for postemployment expenses and can’t get refunds because of the “no former employees” and “no refund” rules. Plan design may influence the likelihood of forfeitures. For example, a plan that limits each month’s compensation reduction to the amount needed to obtain an employer-provided monthly transit pass at the end of the month is less likely to have forfeitures. Most reimbursement plans, though, will involve at least some risk of forfeiture, and both your qualified transportation plan document and employee communication materials should specify what will happen if a forfeiture occurs. Unused balances may be retained by the employer, used to pay plan expenses or contributed tax-free to the accounts of other participants in the plan on a fair basis (subject to the monthly statutory limits that apply to qualified transportation benefits). When designing a plan (or reviewing your plan design), consider state laws such as escheat laws. This is particularly true if your plan is “funded” (that is, if money is held in separate accounts for participants) as opposed to “unfunded” (meaning that participant accounts are only bookkeeping entries and the money remains in the employer’s general assets). To discourage forfeitures, many employers will contact employees throughout the course of the year to let them know what their account balances are and to remind them to submit reimbursement requests on a timely basis. Some employees with large account balances may need to change their elections to use up the balance. 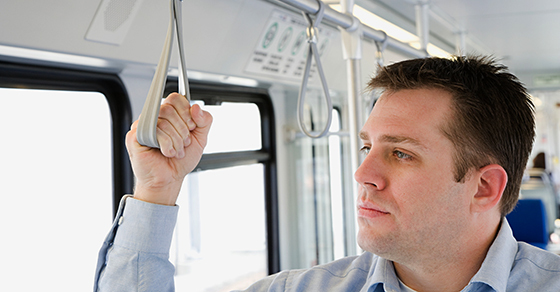 A qualified transportation plan can be a great fringe benefit for an employer with many employees who commute. But there are some technicalities to anticipate when offering such a plan. Please contact us for assistance.